Happy Holidays to you and yours, and I hope to see you on the island! We are pleased to welcome Villa Constellation to our portfolio. 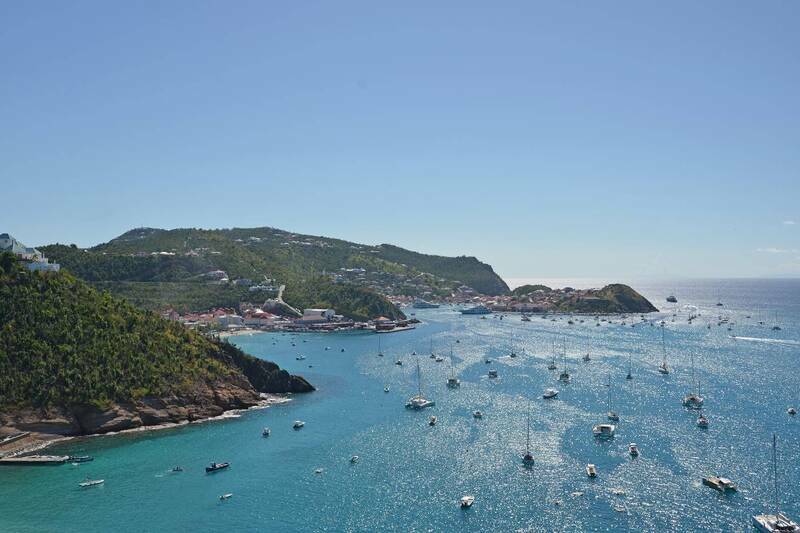 Villa Constellation – Hillside in Lurin, which means in proximity to all that Gustavia offers, Villa Constellation boasts a panoramic vista of St. Jean Bay and the little airport’s notorious runway. Contemporary in design, it features a minimalist décor that is soft and cool throughout. An airy interior encompasses a sleek kitchen and spacious living and dining areas that open to a covered terrace. An extra-long heated pool divides an expansive deck – one side is banked with chaise lounges and umbrellas, and the other with built-in couches. A rear courtyard-style terrace is an ideal spot to spend some quiet time. All three en suite bedrooms have queen beds. The master enjoys an ocean view and an outdoor shower. Of the two guest bedrooms that are downstairs, one has an ocean view and opens directly to the terrace. The third bedroom looks out to the verdant hillside and features a private terrace. Note: a 4-wheel-drive vehicle is needed to access the villa. 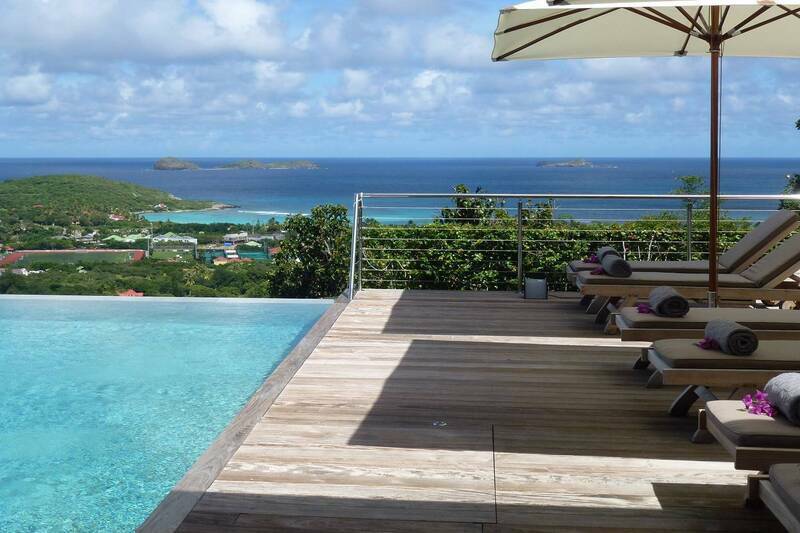 At St. Barth Properties, the team samples everything we recommend. 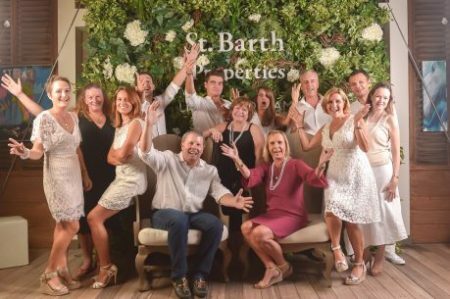 We recently visited Le Barthélemy Hotel & Spa to experience our exclusive 5 Star VIP Beach Experience and have a tour of Le Spa. We loved the Nordic Baths; there are three large tubs – hot, warm and cold – all available at your leisure. There are four serene massage rooms (two for couples’ massages) and a tea station. Guests can pour a “cuppa” and unwind in the relaxation room. After a yummy lunch – mahi-mahi burgers and rosé – we settled in on the comfy chaise lounges, and later enjoyed a swim in both the warm waters of Grand Cul de Sac and their gorgeous infinity pool. Our concierge would be happy to book this experience for you. Our site inspection at Le Toiny afforded us the opportunity to see one of their new Spirit Suites. (There are seven in all, including three duplex suites with balconies off the upper-level bedrooms.) They can adjoin, via a small private corridor, creating a two bedroom unit. We enjoyed a lunch under the palm trees at their new Beach Club, which includes a seaside bar, a boutique and a pool. What a delightful way to while away an afternoon. Our brand-new edition of Live Your Dream® has just arrived on the island. Visit our website to view it online or order a copy. Currently under construction, this contemporary three bedroom villa is located in Corossol, near the island’s quaint fishing village. It is being sold “as is,” allowing the future owner to finish it to their liking. Built on three levels, it includes a private terrace for each of the three en suite bedrooms. The master is on the main level along with the kitchen and the media room with an adjacent full bath; there is also a separate guest bath. The main level’s spacious pool terrace includes covered space for relaxing and dining alfresco. The lower-level bedroom has its own pool. There are four parking spaces on this level. The upper part of the land is in a green zone, ensuring privacy. We had a fabulous trip! (Villa) La Colombe was great; loved the location, exactly what we had hoped for in terms of proximity and convenience.… We loved smelling the yeast and walks to bakery! !